Wsparcie - Artillery. Koszt: 4. 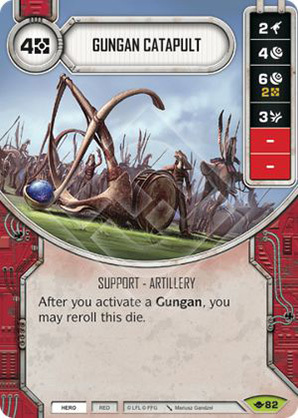 After you activate a Gungan, you may reroll this die. Way of the Force #82.